The Clicgear Rovic RV1C Cooler Bag will allow you to store drinks and food separately so that your golf bag can be used for essentials only. Split into two compartments this cooler bag can hold up to six cans in the lower insulated pocket and the upper pocket is an ideal place to safely store your snacks. 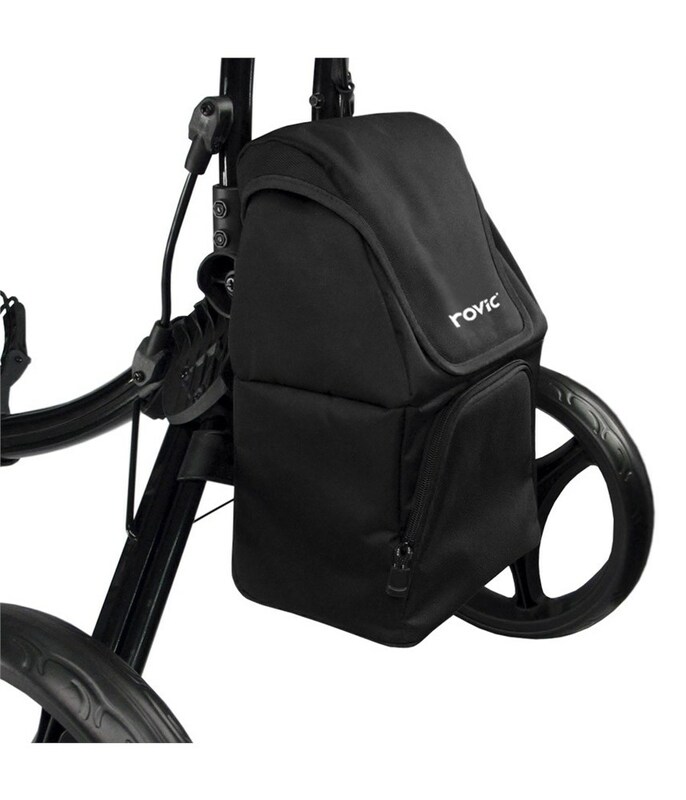 The outer fabric of the Clicgear ROvic RV1C Cooler Bag is waterproof and durable and simple attaches to the Rovic RV1C trolley by using the mounting clip on the trolley. 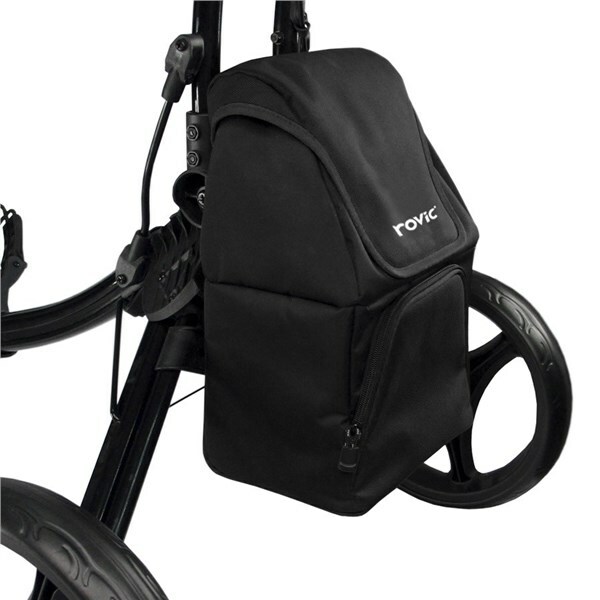 Please Note: This cooler bag will only fit on the Rovic RV1C trolley and no other Clicgear branded trolleys.